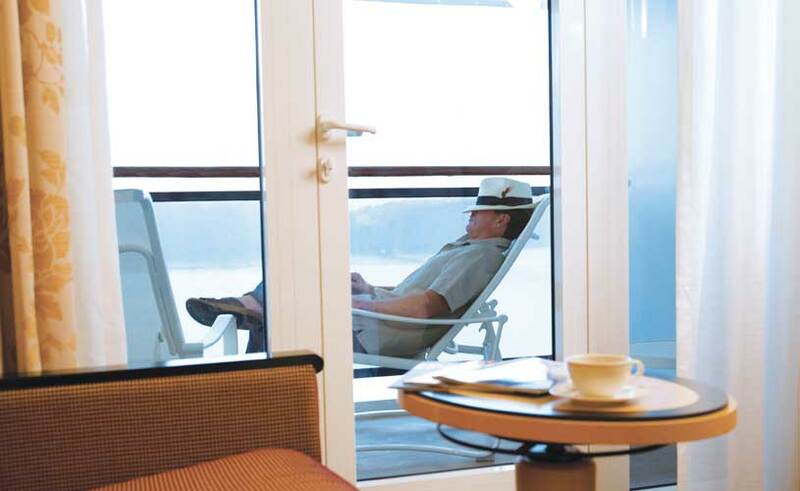 Cunard offers the quintessential traditions of cruising from days gone by. While other cruises have modernised with the likes of water parks, dodgems and skydiving, Cunard has stuck to its guns. It is the only company to boost true liners, and it offers everything a traditional cruise experience should with formal dining, silver service, afternoon tea and fabulous customer service. Cunard has great ties to the UK, and it’s for that reason that many Brits aspire to travel with the cruise line. And I don’t blame them, because it certainly has a reputation as being among the cream of the crop. 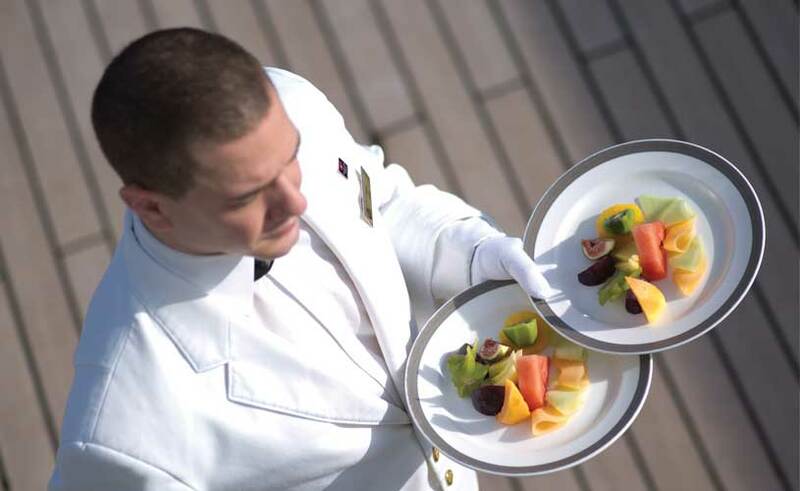 Cunard’s dining experience tends to be more formal than other cruise lines. The traditions of formal nights still stand, where other companies such as Royal Caribbean and Norwegian Cruise Line have moved away from this cruise custom. So be prepared to put your glad rags on three times a week on a transatlantic sailing and twice a week on sailing in the Mediterranean, Scandinavia and other sailings. Despite the set formal nights many Cunard regulars opt to dress up every night, but don’t feel any pressure to do so. Many sail on Cunard for its legendary Cunard White Star Service, but on top of that the dining onboard is also great. The Queen’s Grill is also always a popular option across the fleet, but outside of the complimentary dining options the three ships – Queen Mary 2, Queen Victoria and Queen Elizabeth - all offer something different. On QM2 the Todd English restaurant offers Mediterranean cuisine, and after that head over to the Veuve Clicquot champagne bar. On Queen Elizabeth you could try Mexican in Aztec, Asian cuisine in Jasmine and French delicacies in The Verandah. Oh and you have to try the afternoon tea, it is a Cunard tradition after all. Although families do sail with Cunard, it’s not an overly popular choice for young children or teenagers. If I had kids, Cunard probably wouldn’t be at the top of my list. This cruise line is pitched at an older clientele with a higher disposable income and its best suited to couples or single travellers. But despite all that, the line does have some entertainment options for those that do take their families onboard, although those activities tend to focus more on education than running around a waterpark on the top deck. The line has a book club, offers dance lessons and has drama classes and workshops. For families with young tots, there is a babysitting service available for children aged 12 months and above. Supervised children’s activities include arts and crafts, discos, pizza parties and movie sessions. Cunard’s entertainment options are perfect for its mature audience. The line has become well known for its speakers programme with anyone from Sir David Frost to Bill Bryson taking to the stage to present and take part in Q&A sessions. If you’re more into showing off your dancing skills, the Cunard’s Grand Ballroom will be the place for you. Ballroom dancing has been a longstanding tradition on this cruise line and Queen Mary 2’s Queen’s Room is renowned for being one of the best ballrooms at sea. The crystal chandeliers, resident orchestra playing and elegant dance floor combined mean this is almost certainly something to tick off your bucket list. And for the single ladies among us, Cunard has Gentlemen Hosts – dancers who can teach you basic steps for the fox-trot, swing, rumba and cha-cha – available on all sailings. There are daily dance lessons for those who feel they have two left feet. The bathrooms are quite small on the outside and balcony cabins – so don’t go expecting anything too spacious. The balconies on some of the suites also aren’t much bigger than those that come with a standard balcony stateroom, although you’re mainly paying for upgraded and larger living areas inside the suite itself. However, with countless cabin grades you’re bound to find something suitable to meet your needs. Older couples who like silver service. Anyone keen to sample the transatlantic route from Southampton to New York – it has to be one of the most well-known itineraries ever. The route has been operating for decades and it’s definitely a classic Cunard sailing!